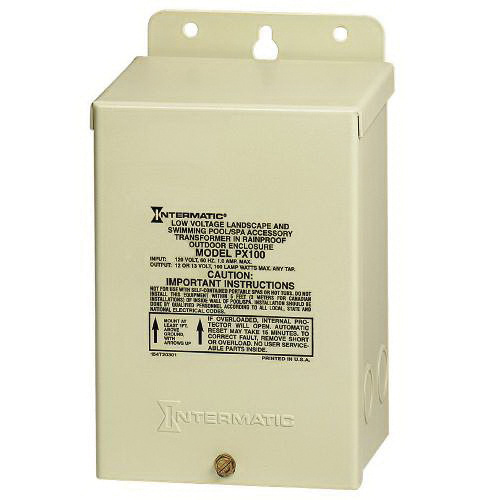 Intermatic Safety transformer has primary voltage rating of 120 VAC and secondary voltage rating of 12 VAC, 13 VAC. This transformer with input frequency of 60-Hz, has power rating of 100-Watts. It has dimension of 5.25-Inch x 4.5-Inch x 7.25-Inch. This transformer in beige color, features steel construction. It is suitable for LED pool lights, submersible fixtures, outdoor landscape and decorative lighting. Transformer is CSA certified.